Early check from the Cashier of the Bank of North America issued in 1818. This item has the signature of the Cashier, E. L. Burd and is over 191 years old. 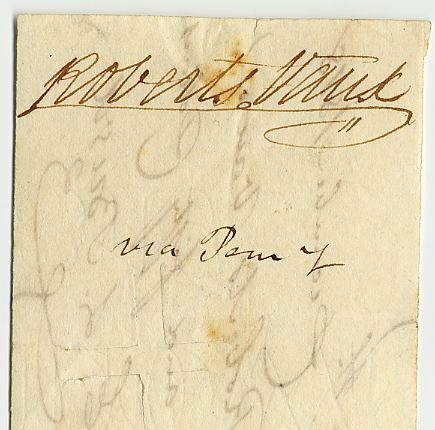 The check was issued to Robert Vaux and endorsed by him on the verso. Roberts Vaux (January 25, 1786 � January 7, 1836) was an American jurist, abolitionist, and philanthropist. He was born in Philadelphia, Pennsylvania, the son of a well-known Quaker family and connected by marriage to another such family, the Wistars. 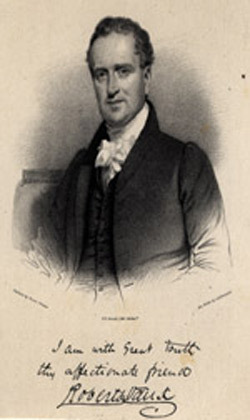 He received his education at private schools of Philadelphia, was admitted to the bar in 1808, and rose rapidly to prominence in his profession. In 1835 he became judge of the court of common pleas of Philadelphia. He was one of the originators of the public-school system of Pennsylvania, and for fourteen years held the first presidency of the board of public schools of Philadelphia. He was helped found the Pennsylvania Institution for the Deaf and Dumb, the School for the Blind and asylum, the Philadelphia Savings Fund Society, the Historical Society of Pennsylvania, and other benevolent societies of Pennsylvania. He had a part in the creation of the Frankford Asylum for the Insane (now known as Friends Hospital). Early in life Vaux became interested in prison matters, and as a penologist he acquired his greatest distinction. He served as Secretary and Commissioner of the Philadelphia Prison Society. He was one of the commissioners to adapt the law of Pennsylvania to the separate system of imprisonment, and also to build the Eastern State Penitentiary, and labored zealously in the cause of prison reform. He was a member of scientific societies in Europe, and of the Philosophical Society of Pennsylvania. He refused several public posts offered by President Andrew Jackson, among which was the mission to St. Petersburg. He published Eulogium on Benjamin Ridgway Smith (Philadelphia, 1809); Memoirs of the Lives of Benjamin Lay and Ralph Sandiford (1815); Memoirs of the Life of Anthony Benezet (1817; with alterations, York, 1817; French translation, Paris, 1821); and Notices of the Original and Successive Efforts to improve the Discipline of the Prison at Philadelphia (1826). His son, Richard Vaux, was mayor of Philadelphia and a member of the U.S. House of Representatives from Pennsylvania.